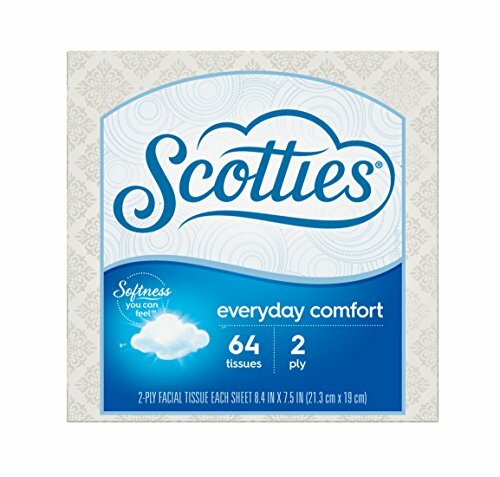 Soft, strong and affordable Scotties Everyday Comfort 2-ply facial tissue keeps it simple without compromising softness or quality. Scotties Everyday Comfort 2-ply is available in cube, flat and reach-in box formats and come in a wide variety of designs to fit any room. Cube box with 64 sheets of 2-ply tissue per box and features an assortment of box designs. Stock up! Buying in bulk means you'll always be prepared with soft facial tissue whenever (and wherever) you need it. Final Price as low as $1.28!